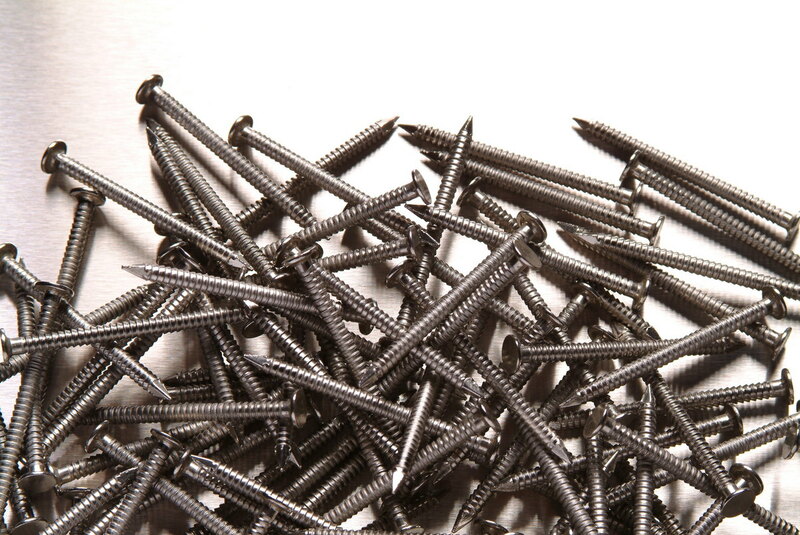 Nails and screws are essential fixings across the entire spectrum of industry. As part of the foundation of any structure or piece of machinery, these products must be manufactured to the highest standard and extensively tested to prove their strength and durability. Our stainless steel self-tapping screws are among the best available on the market, manufactured to exacting standards and supplied under our ISO 9001 accre­dita­tion. The screws, which are available with pozi pan, slotted or hex heads, are supplied in a choice of two standard sizes though BS Stainless endeavour to provide any bespoke size upon request. Special sizes are available manufactured in varying grades of stainless steel or with a zinc-plated option. As always, we provide bulk deals to our larger customers and pack sizes of 1000 or 5000 are designed to maximise cost-effec­tiveness. To complement the range, we also supply Neoprene, Polymide and EPDM washers. A comprehensive selection of stainless steel nails can be produced by BS Stainless for a wide range of applications. From stock, we offer standard 304-grade stainless steel nails measuring 50mm x 3.35mm; these ring shank nails are particularly suited to the timber industry. Available in 1kg, 5kg or 10kg packages, the nails are highly-resistant to corrosion and have a much longer lifespan than traditional steel nails. Bespoke orders, which can include orders over 100kg, alternative grades or additional sizes, will happily be accepted by our expert team. Our technical team are always available to offer further information and advice on our stainless steel products and services. Please call us on 337555 or send email to info@bsstainless.co.uk.